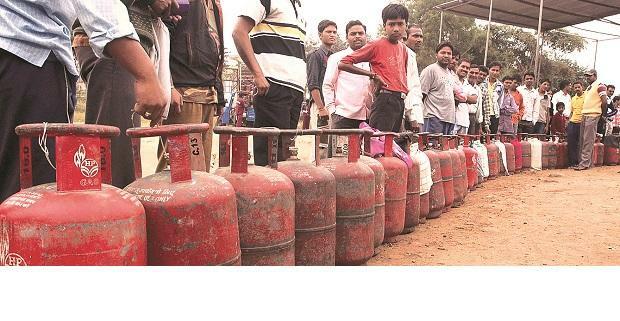 Domestic cooking gas (LPG) price was Thursday hiked by Rs 2.08 per cylinder and non-subsidised gas by Rs 42.50 per bottle, Indian Oil Corporation (IOC) said. The increase comes after three straight monthly reduction in rates. Prior to this, prices had been reduced by a total of Rs 13.39 per cylinder. IOC said non-subsidised or market-priced LPG rates have been hiked by Rs 42.50 per cylinder "mainly due to change in international price and foreign exchange fluctuations." It will now cost Rs 701.50 per 14.2-kg cylinder in Delhi. All LPG consumers buy the fuel at market price. The government, however, subsidises 12 cylinders of 14.2 kg each per households in a year by providing the subsidy amount directly in bank accounts of users. According to tax rules, the goods and services tax on LPG has to be calculated at the market rate of the fuel. The government may choose to subsidise a part of the price but tax will have to be paid at market rates. So, with the rise in market price or non-subsidised LPG price, the tax incidence on subsidised cooking fuel has also increased, leading to the current price hike. IOC said subsidy transfer has been increased to Rs 205.89 per cylinder in March 2019 as against Rs 165.47 in February. Oil firms revise LPG price on 1st of every month.